Based in Vilnius, Lithuania, Vostok Europe fuses a great story for each model and construction designed to withstand the most rigorous conditions – from deep diving to space explorations. With watches tested in Dakar Rally, at the Deepest Cave in the World, to the edge of the atmosphere and beyond they don't just tell time, they tell a story. 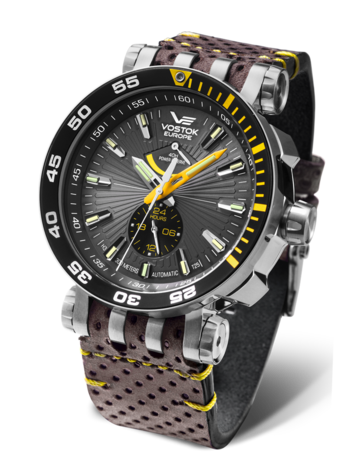 Every Vostok Europe are constructed and BUILT FOR GOING TO EXTREMES! Limousine. 15 tritium tubes. Power reserve indication.